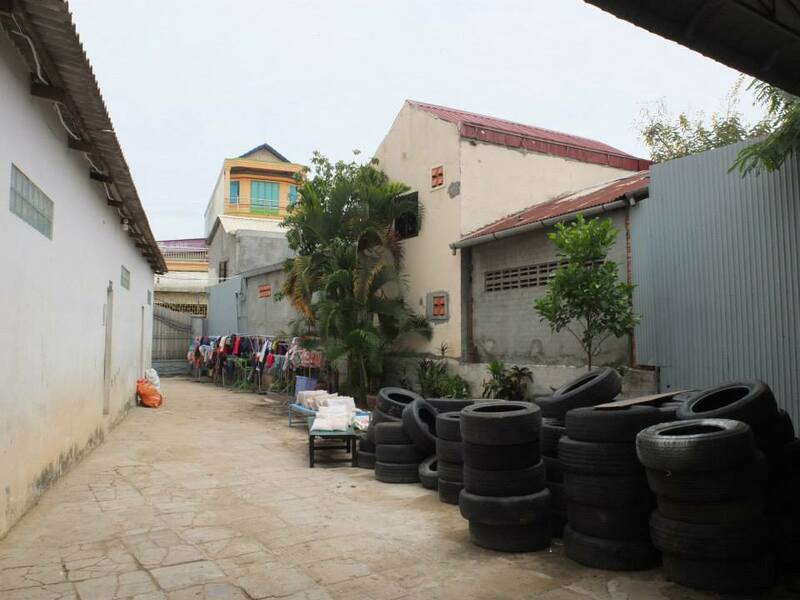 Over the upcoming weeks we will be turning a car park into a play park for students at the Cambodian Children’s Fund‘s school. The project which was initially designed alongside local students with the Building Trust team takes on the children’s designs creating a play space from recycled tyres in an unused space of their school site. 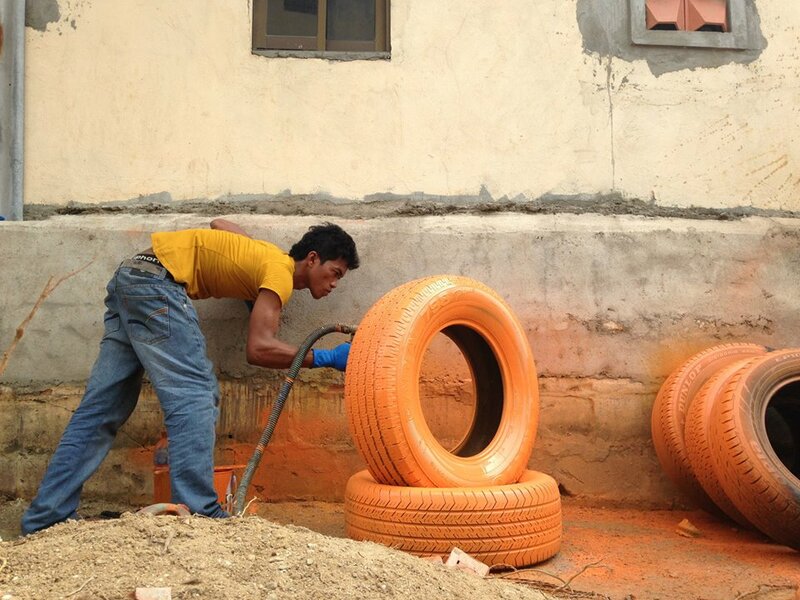 Tyres for playground get a paint job! 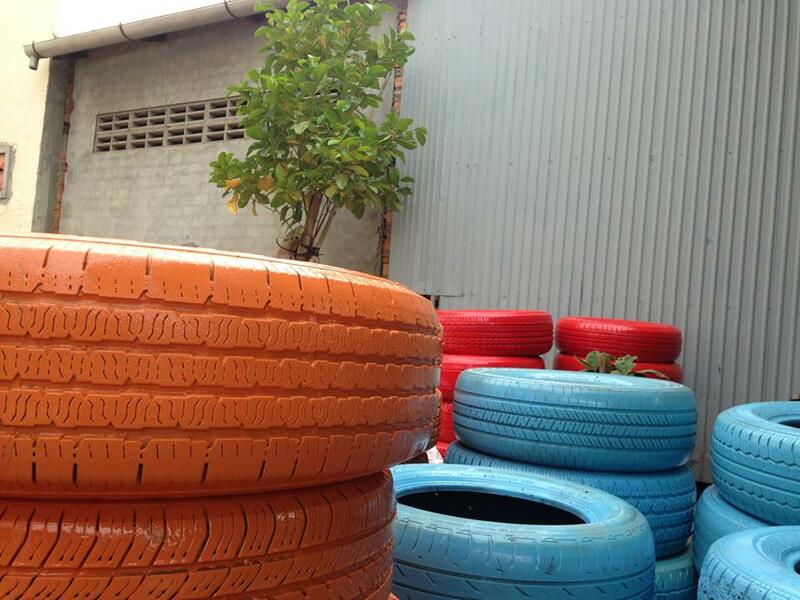 Tyres are painted and ready to be placed into position! Playground starts to take shape. 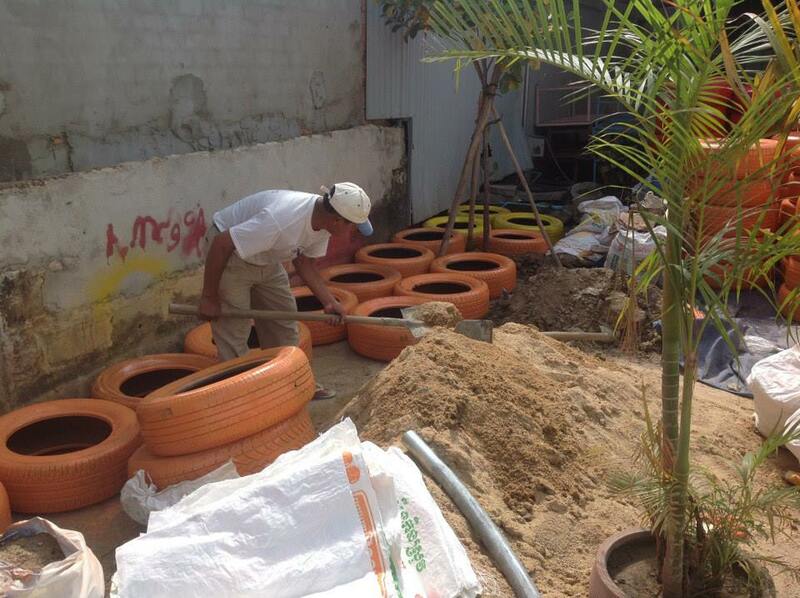 Keep reading to be kept up to date with the progress of our 3 playgrounds. See our Facebook album for more photos! Check out the video for the mixed use riverside location intended to create play spaces for all, with Skateistan! 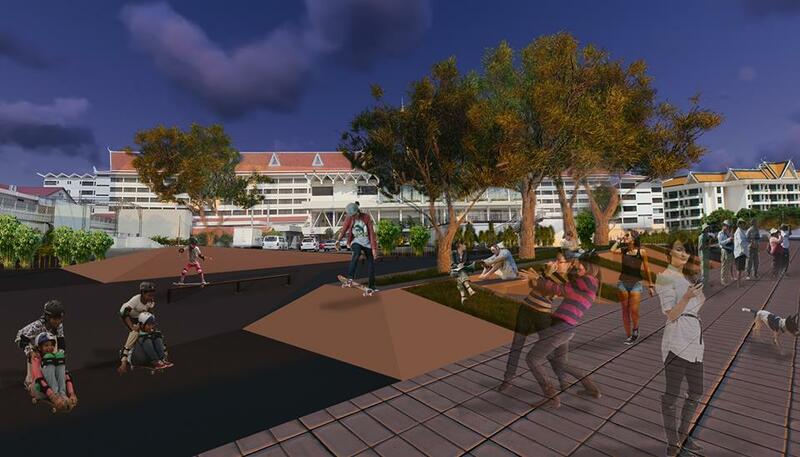 Our project brings more public space to Phnom Penh for people of all ages and today it was the centre page in today’s Phnom Penh Post! We look forward to seeing this project progress over the upcoming months!